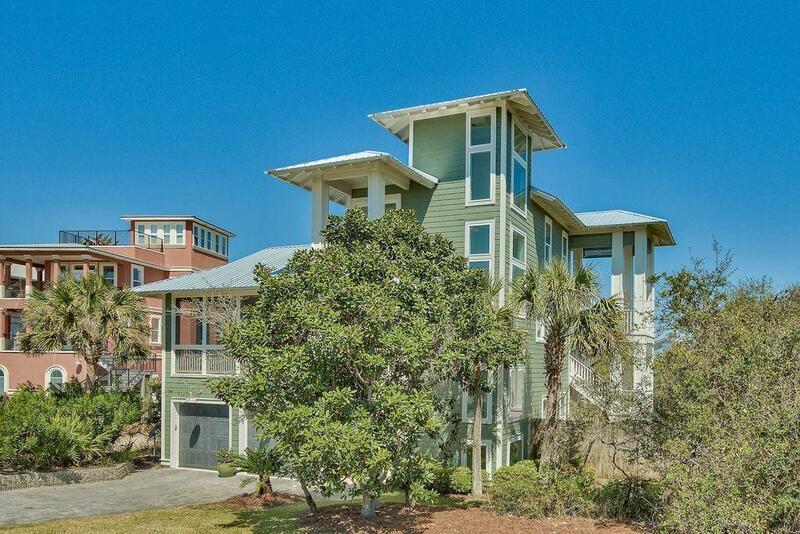 Stunning gulf views and deeded beach access a one-minute walk away make this one-owner retreat a beach lover's dream. Built in 2005, this three-story home has never been on a rental program and has never been on the market. It is the only active listing currently available on Blue Mountain Beach Road. Situated on an oversized and well-landscaped lot, this home is set up for spacious living and privacy, featuring two bedrooms and one full bath on the first floor, an open-concept kitchen and living area on the second floor and a spacious master suite on the third. 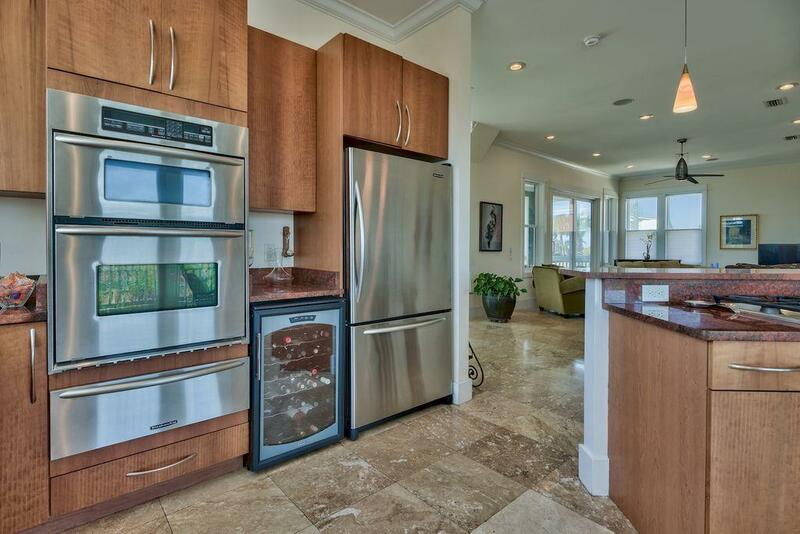 A large and well-appointed kitchen features stainless steel appliances, a wine refrigerator, large walk-in pantry and Red Dragon Granite countertops throughout. Recent updates including a new metal roof and new exterior paintcomplement interior upgrades including crown molding throughout, dimmable lighting and a Rinnai water heater. An abundance of balconies, five in all, overlook an amazing outdoor space, and provide unimpeded gulf views over a recently-renovated one-story home across the street. A heated pool and hot tub occupy only a portion of the large yard, complete with outdoor furniture and a Big Green Egg, both of which convey with purchase. The entire pool and patio area is wired for surround sound, and a convenient outdoor shower is perfect for cooling off after a warm day soaking up the sun. 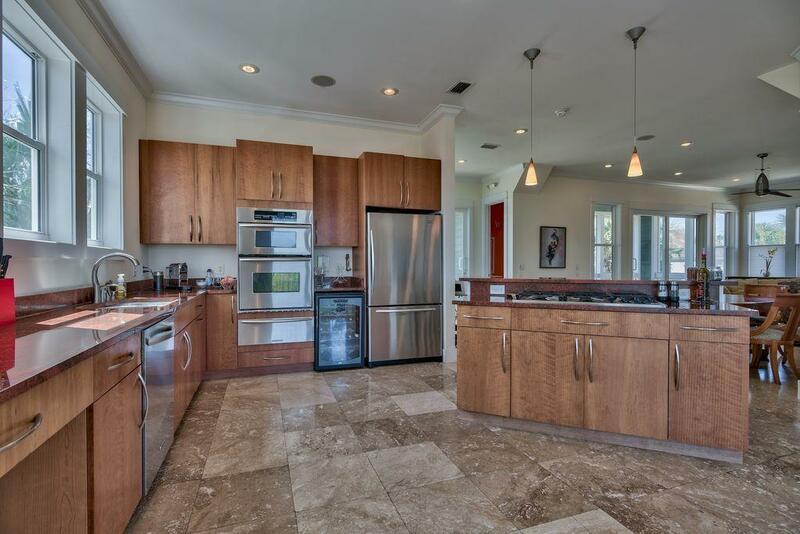 A two-car garage and driveway provide ample parking for family and friends. 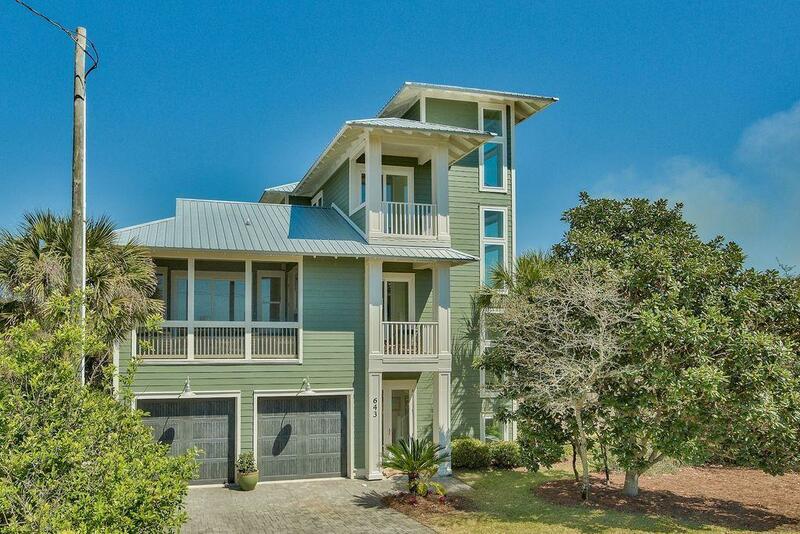 643 Blue Mountain Beach Road is conveniently located near Big Redfish Lake and all of 30A's world-class shopping, dining and recreational amenities.